Issue: Our story is focused on experience with maximizing value and decreasing disparities for medical care particularly total joint replacement (TJR) procedures which in the United States, has received tremendous attention for high costs associated with it. Research shows that despite promising results for the treatment of osteoarthritis (OA), unfavorable outcomes exist in certain patient cohorts that places more burden on the healthcare system. Often these suboptimal outcomes are tied to existing comorbidities (e.g. obesity, physical deconditioning, poorly controlled diabetes and nutrition, Staphylococcus Aureus colonization, cardiovascular disease, venous thromboembolic disease, tobacco use, and neurocognitive, psychological and behavioral problems) and issues associated with a fragmented system. 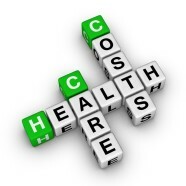 Some areas of avoidable costs include duplicate or unnecessary services, which are also results of a fragmented system. Research also shows that there are major disparities in the uptake of TJR by patients suffering from OA. Being in a major metropolitan area, we have observed similar trends where patients who desperately need TJR, put it off until it becomes disabling either due to financial hardship (due to being uninsured or underinsured) or the perceived burden associated with the higher risk of suboptimal outcomes (i.e. complications that could equally result in readmissions). From clinicians’ standpoint, some issues we often encounter include inability to access medical records for history of prior care at other facilities, or insurance denial for care. Measures Taken: As part of our commitment to decrease healthcare disparities and improve best practices, multidisciplinary teams at our institution that include clinicians, financial and information technology experts, and hospital administrators developed innovative ways to improve communication across the care continuum, engage patients and care providers to facilitate access to care, minimize poor outcomes, and possibly the need for excessive lifelong health services. Measures implemented included looking at financial and clinical data to estimate the costs associated with suboptimal outcomes for every TJR procedure; identifying key factors or characteristics that predispose them and areas of waste (i.e. no value added steps) in the care process; as well as implementing standardized clinical pathways. We also encourage better alignment and communication with primary care providers to facilitate clearance for surgery (where needed) as well as minimize duplicate services and escalated costs. An example is our multifaceted multidisciplinary (i.e. anesthesia, internal medicine, pulmonary medicine, cardiology, endocrinology, nutrition, bariatrics, physical therapy, psychiatry, etc.) approach which includes Joint Preservation and a Perioperative Orthopaedic Surgical Home model. The model better aligns the financial incentives and clinical objectives of all stakeholders. Through this we have not only improved some patients’ health by improving access to care and keeping patients involved in their health decision making process; but decreased length of hospital stay, perioperative morbidity, mortality and unplanned/unscheduled readmissions by encouraging clinicians to better manage care while reducing cost(s). Summary: We believe that the approach we have taken can be modeled across other institutions or groups to provide The Best Care at the Lowest Cost. Building Multidisciplinary Teams to Improve Care At Lower Costs was a submission to the 2015 Contest “The Best Care, The Lowest Cost: One Idea at a Time” Ifeoma Inneh of NYU Langone Medical Center.